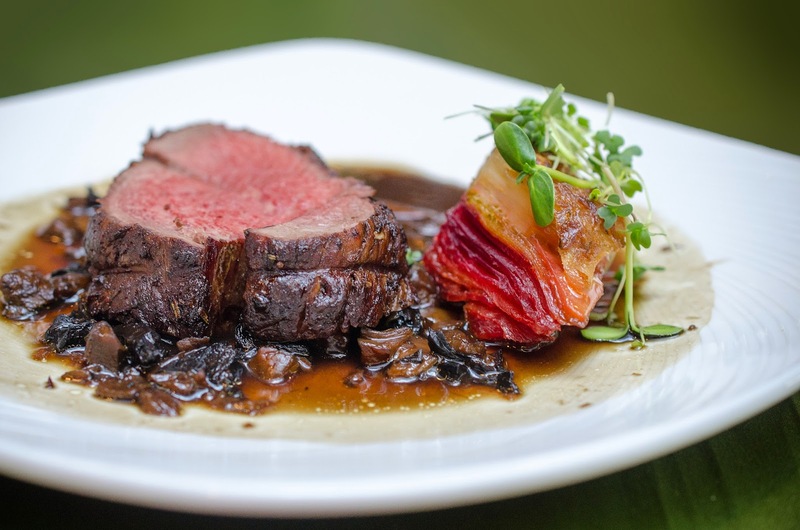 Chef Michael Stadtländer is an internationally renowned chef, whose Eigensinn Farm dinners are legendary among food lovers. A staunch supporter of the farm-to-fork movement, he was also the driving force behind 'Foodstock', one of Canada's largest culinary protest movements. 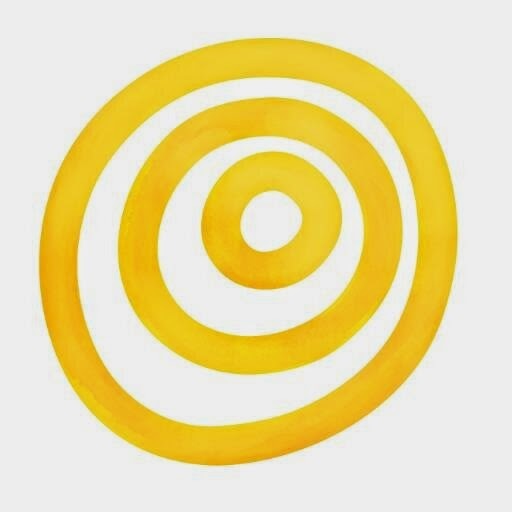 In an earlier post on farmer John Schneider, I talked about the 'No Farms No Food' organization that mobilized the local agricultural movement against development, so when I heard about Foodstock, it felt like a sign, a theme, if I may call it that, of protest movements based on preserving food and agricultural traditions and making sure that food security continued to be an issue of paramount importance. I was invited to a NAIT Culinary Arts Program lunch featuring the food of Chef Stadtländer, who is the current Hokanson Chef-In-Residence. But before that, I was lucky enough to get a interview with Chef himself, and I was curious to know more about the philosophy that drives his food and cooking style. Chef Stadtländer came to Canada from Germany, where he grew up with food that was incredibly local. He recalls growing up on a small farm, and growing a lot of his food. Both his mother and grandmother cooked for the German border police and Chef Stadtländer credits them for his love of cooking with local ingredients (um, his womenfolk, that is, not the border police). Local is lifeblood to Chef Stadtländer. 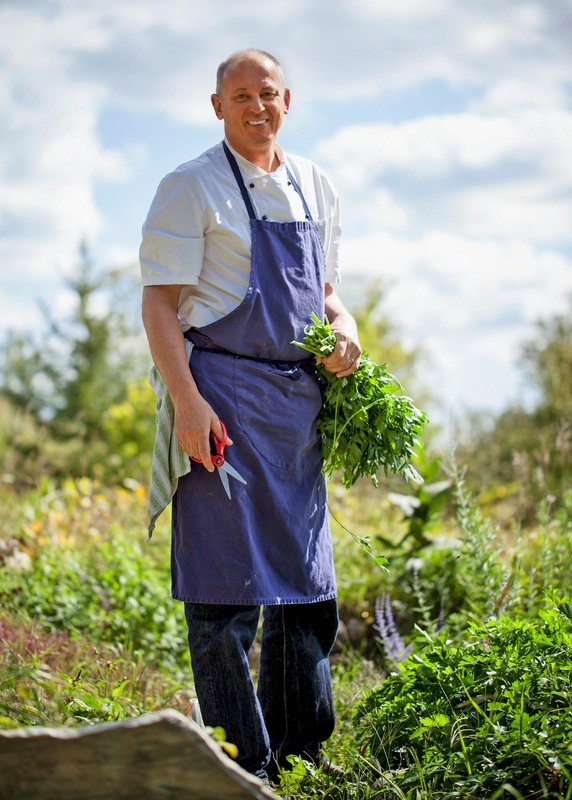 When he moved to Canada, he worked and developed several unique concept restaurants, including the farm-to-fork 'Feast of the Fields' with his co-chef Jamie Kennedy, before following his dream and buying a hundred acre farm near Collingwood, Ontario. Eigensinn farm now provides 90% of the produce, meat and dairy that Chef Stadtländer uses in his cooking and his farm dinners. I asked Chef Stadtländer how he felt about 'local' as a concept, now that it is a trendy buzzword in the culinary and gourmet scene. For Chef Stadtländer, local is not a trend. It is the way people have cooked and eaten for centuries before the growth of big agriculture. He espouses his philosophy of cooking local and he is proud of the fact that for most of the year, he is eating and cooking strictly from his farm and selected local producers. He makes an exception for his wheat, though, which comes from Western Canada, from organic growers. The thing about Chef Stadtländer that strikes me as unusual is that he doesn't shy away from discussing hard topics around organic farming, sustainability and the way in which most of the population eat. As he puts it, organic is still niche and can be quite unaffordable to all but a certain income group of people. He doesn't dispute this, but he does believe that there could very easily be changes made to the way in which people eat and consume food. He agrees that it is not easy for everyone to eat organic - budget is an important part of people's lives - but he believes that as people start learning more about the way in which food affects health and lifestyle, things will slowly change. Local food has never been about being trendy for Chef Stadtländer, he sees it as a way of life and the way in which people have survived for a long time. 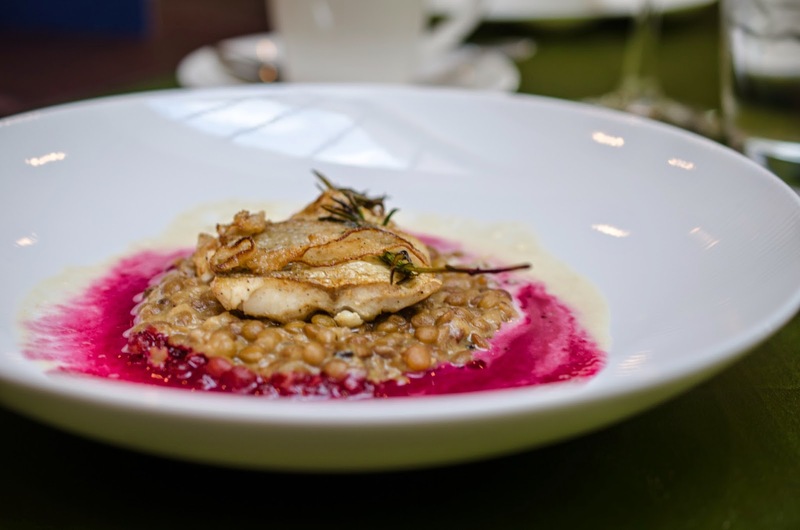 For Chef Stadtländer, health and nutrition are also as important as where food comes from. He believes that as more people understand the value of health, the more they will realise that knowing the pedigree of your food is an important part of everyday life. For him, a healthy, balanced society is Utopia, but one that is within reach for everyone, starting with teaching children about growing food and showing them how to cook it in the way that is best for them and for families. At the same time, Chef Stadtländer believes that the health of the people and families is directly related to the way in which we look after the land, and the health of the land, the soil and water. Teaching kids early on in life will only lead to a generation that is mindful of what they do to the world around them, as they start equating their own health and taste with respect for the land where their food comes from. I ask Chef Stadtländer how he feels about organic grocery stores. His answer is firm and unequivocal. Flying organic produce from around the world is not a solution, he states. Produce and food tastes best when it stays local, when there is that connection to the land, and when you are able to trace it's journey from farm to plate. Food is about celebrating seasons and building a healthy culture around it. As he puts it, the closer we are to our food, the better the flavours, the more we can relate to it, and the healthier the world stays. He is passionate about farmland and insists that one of the best ways to provide food security in today's world is to make sure that agricultural land and small farms are protected. There will always be developers, he states, economics will always be an issue as population grows and the demand for land increases. He sounds frustrated when he tries to explain how he believes that the only way for Canadians to protect their food supply is to stand up for farmers and for their land. It is easy to destroy land, he says, but land, once taken over is lost. The ability of that same land to provide food becomes less and less, and the more people start relying on big agriculture and food. Canadians need to be forward thinking, according to Chef Stadtländer. He wants us, urges us, to use our democratic power to protect our land and to create a stronger food culture that is based around it. The blame goes both ways. We see the land as expendable, but we are being short-sighted when we do this. What are we leaving to the next generation? Do they not deserve a fair shot at knowing the joys of growing their own food and the unique flavours of local terroir? It saddens Chef Stadtländer when farmers feel that they cannot leave land to their own children, because of reasons of uncertainty and economics. He feels that farms need to be reinvented, that more people need to start moving outwards, thinking about the future of food and agriculture. The more this happens, the better the food culture of Canada and the world. He freely admits that Canada is harsh country to live in. We are seasonal, and growing seasons are short. Winters are hard and brutal, especially on farmers and people raising livestock. But as he points out, people don't need much to be happy. We live in a world where wealth is equated to money and the ability to consume. Unfortunately, it is the world we live in and greed is a big factor in the way it works. People have so much, yet they want more and more, destroying nature and life in the process. Chef Stadtländer deeply feels the need to create more community, to start giving back, to start being compassionate, kind and mindful of the world we live in. Wealth is not everything. Being connected to the land, being respectful of it, this is where the future lies. 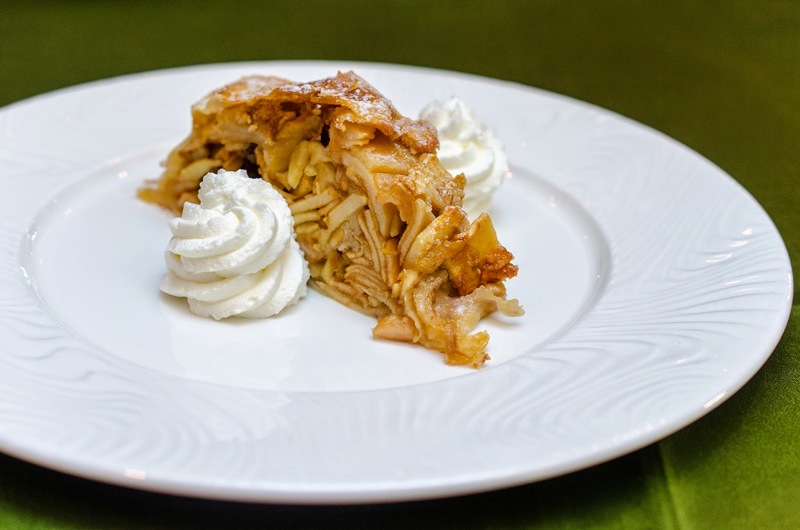 Chef Stadtländer states that he would never ever move away from his land. He hopes to buy more, and continue to create his vision of a sustainable community of chefs and farmers working in harmony with each other. He has a vision of young, apprentice farmers working the land, and supplying chefs with the produce. He sees urban farming as one way forward, as it brings people together, teaches the younger generation about growing food, being respectful of the land and understanding their responsibilities to it. For Chef Stadtländer, the local is indeed sacred. Photo credits: The first photograph of Chef Michael Stadtländer supplied by NAIT. The rest of the images are my own. 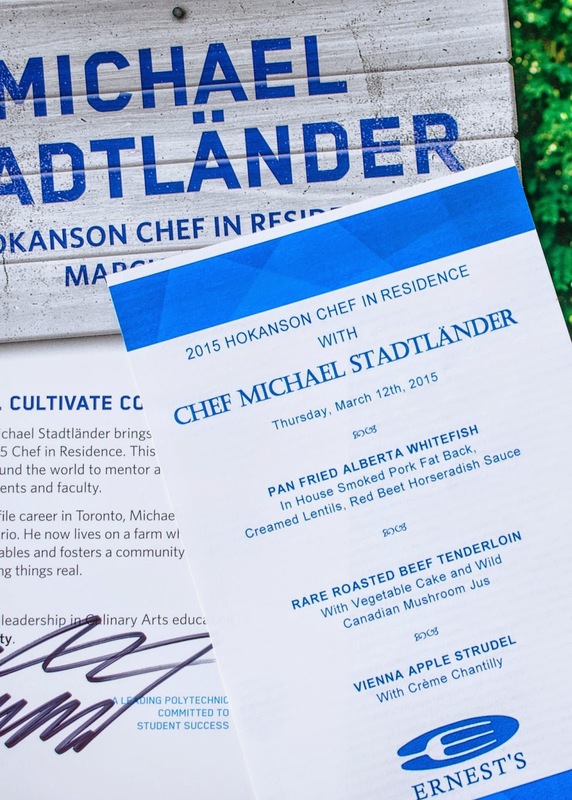 Disclosure: I was offered an opportunity to interview Chef Michael Stadtländerby NAIT, and was invited to a complimentary luncheon hosted by them to celebrate Chef Stadtländer's food. All opinions are my own. I was not paid for this post. Oh wow! What a wonderful experience. I'm really hoping to be able to visit his restaurant one day! I recently went to an Organic grower's conference and attended a talk on urban agriculture. One of the topics brought up was people's willingness to pay a premium for organic, locally grown produce. What was interesting was that one of the farmers (who sells in markets all over the city) talked about how household income of a particular area or neighbourhood didn't have very much to do with what people were willing to pay for produce, but the percentage of first-gen immigrants did. Even in lower-income neighbourhoods, the immigrants rarely questioned the prices. It seemed like they knew what good food should look and taste like (like it did back home) and they were totally happy to pay for the superior quality. Sorry for the long comment, but I just thought that bit was interesting. Like Chef Stadtländer said, yeah...budget can be an issue, but perhaps its more about the way our population values food and that's definitely starting to change! Sofia, thank you so much for your great comment. It definitely is an interesting debate for sure, and your point about first gen immigrants is particularly relevant. I would never has suspected that, to be honest. "Flying organic produce from around the world is not a solution"
I'm so glad this was discussed! I think it's ridiculous to see "organic" bananas from Ecuador etc. I would much rather buy something that isn't organic but locally farmed over something that is "organic" and traveled halfway across the world to get here. Kelsey, yes, I thought that was a very valid point to make as well. But I think there are always people who would like organic, but don't necessarily worry about how it gets to them. To each their own, but I do prioritise local whenever I can. Great post. I've wanted for a very long time to visit Stadtländer's farm, but just never been able to make the time. One day soon, hopefully. Super interesting to hear his views on organic farming, etc. Living in Canada I don't necessarily think it's realistic to eat local all year round. I would lose my mind if I couldn't eat the occasional strawberry in mid-February :-), but I do think it's important for food security and other reasons to protect and encourage local farming. I think the key is to try and change what we can, but also not judge people who choose a different way of life, as we are not in their shoes.